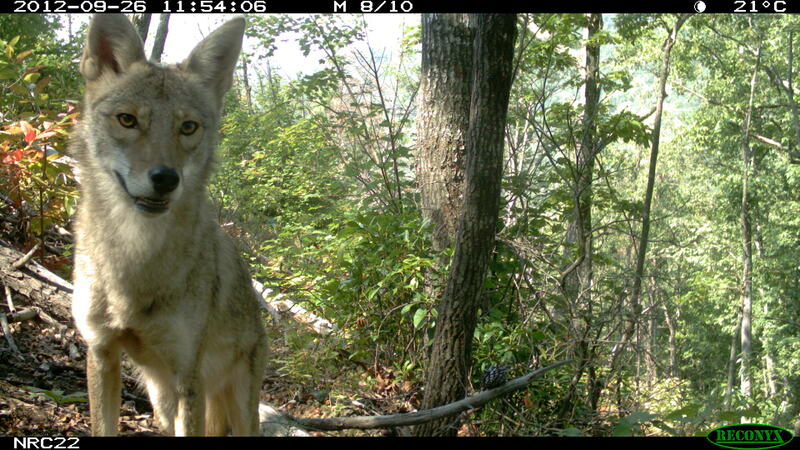 Coyotes in the eastern USA offer an amazing experiment in both evolution and ecology. Coyotes are new immigrants to the area, and our research showed that they hybridized with wolves before they moved east, and that this helped them rapidly evolve larger skulls, that presumably help them be more efficient deer hunters. 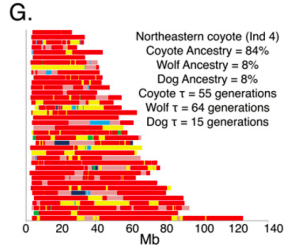 A second study led by Bridget vonHoldt with many more detailed “SNP” genetic markers on a few animals showed that modern eastern coyotes are actually a well mixed collection of genes from western coyotes (84 %), wolves (8%), as well as domestic dogs (8%). Working with Javier Monzon we later used a subset of the most informative of these markers to test a larger sample of coyotes finding that the hybridization extended into Ohio, and that hybrids were more wolf-like in areas of high deer density. After a variety of media outlets started calling eastern coyotes the ‘coywolf’ and suggesting that they were a unique species, I wrote this commentary to explain why I think that is a mistake and also this rebuttal to someone’s claim that the eastern coyote should be considered its own species. 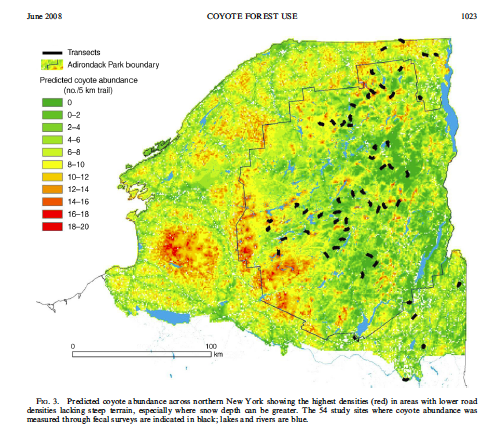 I have also studied coyote ecology, finding that Adirondack coyotes will use all forest types, but prefer disturbed or edge forest, and also documenting the natural diet and high mortality of coyotes in suburban Albany, NY. We have a new coyote behavioral test we are looking for collaborators to help deploy across the country. Check out the behavioral test protocol here.